This was sweet vengeance for the Vikings after losing meekly against the same opposition a few weeks earlier. This time around the hosts' opening pair absolutely savaged the opposition bowling. 25 runs were pillaged from the second over of the innings, as Lyth tore into the unfortunate Woakes. This set the tone for the rest of the innings. Lyth struck forty off a mere sixteen balls. Not to be outdone, the frustratingly inconsistent Kohler-Cadmore smashed a twenty-ball fifty. In fact, the power play total of ninety-two runs is the highest this season in the Vitality Blast. It's on nights like this that the Tykes really do look the most formidable batting team in domestic one-day cricket, as they raced past 130 at the halfway stage. Although the run rate almost inevitably slowed down in the second half of the innings, the home team still posted their fourth highest Twenty20 total. It would take either heavy rain or awful bowling to prevent a certain home triumph, and fortunately there was not enough of either. Admittedly a rain interruption did cause concern, but after a brief cameo from Pollock, the Bears just seemed resigned to their fate and almost treated the run chase as a glorified net session. This ended up a comfortable victory, and further outbreaks of similar batting fireworks will deliver similar results. YORKSHIRE VIKINGS versus Birmingham Bears; at Leeds; Friday the 27th of July; The Vitality Blast. YORKSHIRE VIKINGS won the toss. 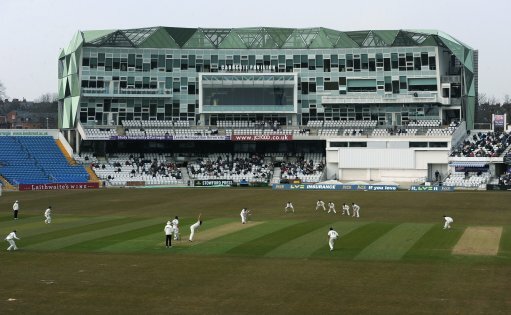 YORKSHIRE VIKINGS won by 31 runs via the Duckworth-Lewis scoring method.